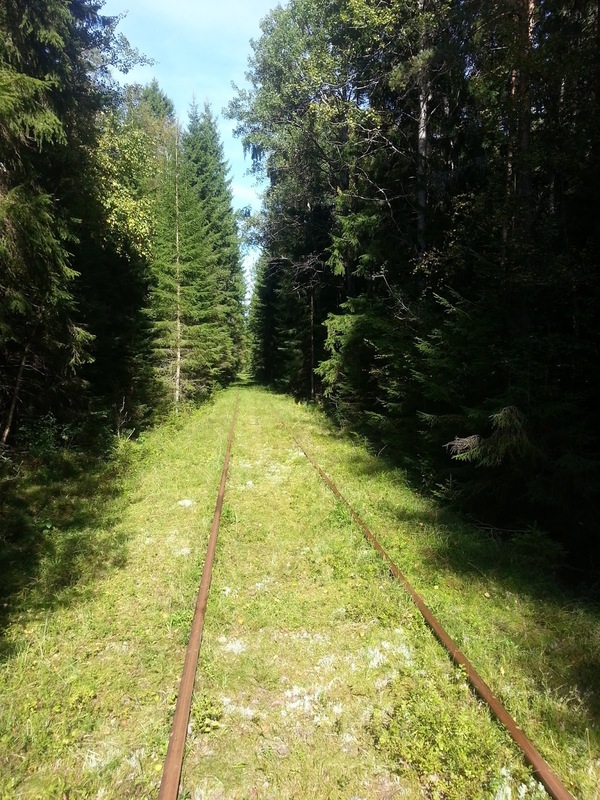 Time for a new adventure - cycling with draisines along a disused railway line in Gullspång. A draisine is a sort of railbike originally used by railway personnel for maintenance of the railways. There seems to be several types of draisines and several English words for similiar type of vehicles, like handcar, railbike, inspection trolley... 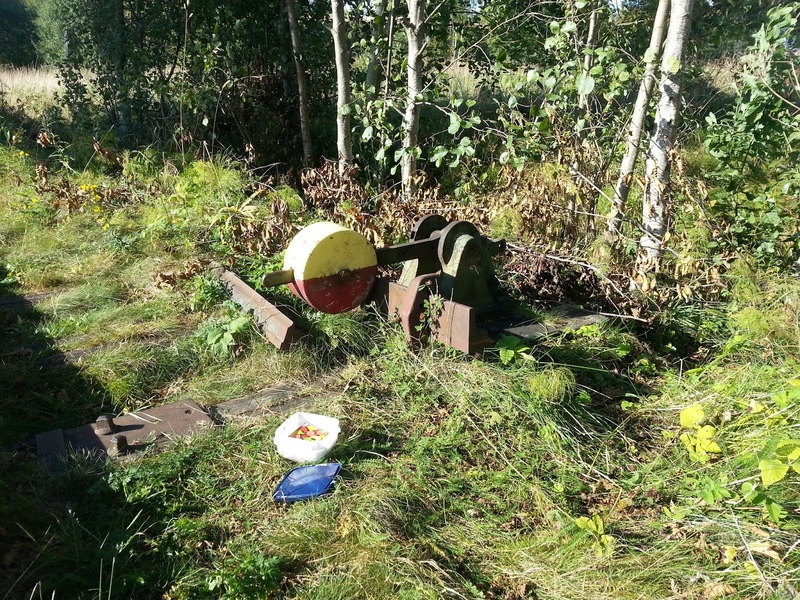 Anyway, in Sweden it's a popular tourist attraction and there are several disused railways where you now can ride a draisine instead. 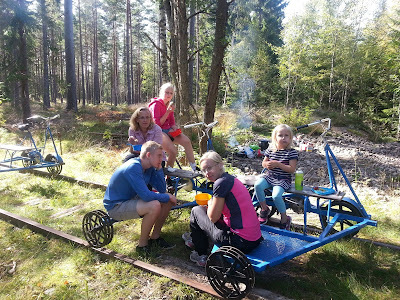 We tried this a couple of years ago in Vansbro and we all enjoyed it, so we decided that it would be a nice adventure for our Light my fire Adventure year. This time we invited a 4-year old cousin and her mom to join us. We started on Friday with a picnic halfway to Gullspång at Skantzen, an outdoor museum in Hallstahammar. The museum was closed when we got there, but the surroundings were nice and it was a good place to spend an hour. It is right next to a canal with a lock, and there is a nice playground with a copy of the canal. It was a great thing that we had a 4-year old with us so that we had an excuse for playing there! We stayed at the youth hostel in Gullspång which is right by the train station where the cycling begins. After a good night's sleep we had breakfast at the hostel and inspected our bikes. We rented three bikes, which meant that we were two on each bike. We then took turns riding the bike, one cycling while the other one could just relax and enjoy the ride. Our 4-year old was a bit too short, but she managed to ride the bike for some short distances. This is not a very action filled adventure, it is more a slow trip passing through woods, farmland, lakes and a few houses. When the railway crosses a road you need to jump off the bike and walk over the road. That's the most excitment you get! Well, then there's the chance of meeting another draisine coming the other way. Then you need to lift the draisines off the track to let the other's pass. We took the route to Torved a 40 km trip in total which was perfect for a day trip. We still had plenty of time for breaks and also a stop by the beach for some swimming before returning to Gullspång. There were rest areas on several places along the track. It was a hot day so we soon ran out of water. 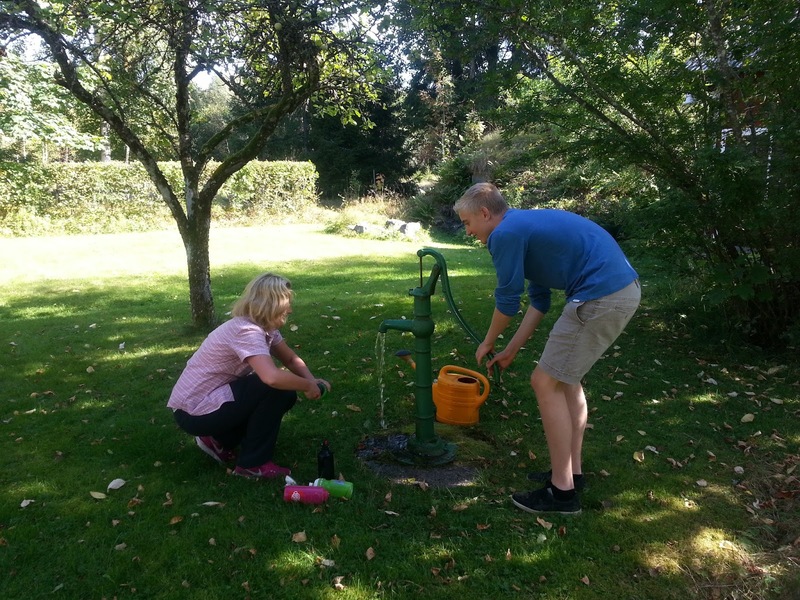 Fortunately, we met some nice people outside a house that let us borrow their pump to get some fresh water. There are lot's of geocaches along the railway, but we didn't have the time or energy to stop for all the caches. But we logged a few that were located at places where we stopped to rest. Our teenagers don't really think geocaching is fun anymore (mostly embarrasing), but the 4-year cousin loved to go treasure hunting! Det har vi också gjort. Jättemysigt. Gräset var inte klippt utan ibland gled man fram i ett gräshav. Som i en saga. Fast vad TUNGA dressinerna var.